This list of Romeo and Juliet quotes is no where near exhaustive. It will, however, give you a good start to understanding the play. Analysis: Shakespeare gives us the plot of the play before the play even begins. There is obviously more to be learned from the play than the series of events. Fatal loins makes for an interesting discussion. Analysis: Romeo proclaims his infatuation for Juliet. He has seen her for about 2.63 seconds and has never spoken with her. He utters this mere hours after uttering similar thoughts about Rosaline. These words give insight into Romeo’s instability and his being controlled by his emotions. The final line foreshadows Juliet’s death. Act I sets the stage. In Act II, the plot thickens. 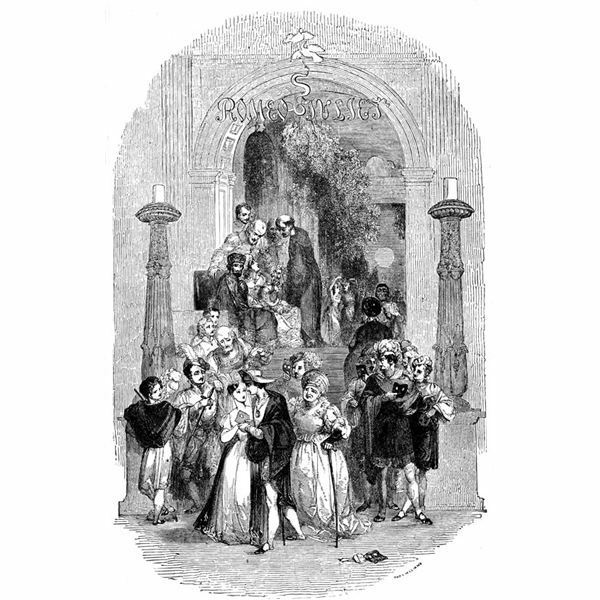 Here are some Romeo and Juliet quotes from Act II to make you sound smart. Quote: O Romeo, Romeo! Wherefore art thou Romeo? / Deny thy father and refuse thy name (II, ii, 33-34. Analysis: The key word in Juliet’s question is wherefore, which means why, not where as many foolish neophyte Shakespeareans believe. Juliet, in these lines, declares her willingness to disown her own family if she can be with her true love, who she’s known for almost an hour-and-a-half. And you wonder why fathers go bald. Quote: What’s in a name? That which we call a rose / By any other name would smell as sweet. (II, ii, 43-44). Analysis: Juliet still tries to subdue her conscience with this reasoning, claiming that Romeo’s name matters not, for he is her true love. Juliet is wrong. A rose would not smell as sweet if you called it a Harkraken or Schnockter or a Sewage Weed. That’s just my analysis. What do you think? Quote: Good night, good night! Parting is such sweet sorrow / That I shall say good night till it be morrow (II, ii, 184-5). Analysis: Juliet speaks all the good lines. She’s a rather aggressive Middle Ages girl, don’t you think? Juliet obviously cares little for societal restrictions. Analysis: Mercutio as he dies says this to Romeo. It’s ironic that Mercutio blames Romeo even though Mercutio instigated the violence as Romeo attempted to stop it. Romeo feels responsible for Mercutio’s death and gets his revenge by slaying Tybalt. The curse Mercutio levels foreshadows the lovers’ suicide. Quote: Beautiful tyrant! Fiend angelical! / Dove feathered raven! Wolvish-ravening lamb! / Despised substance of divinest show! / A damned saint, an honorable villain! (III, ii, 73-79). Analysis: Juliet can’t quite wrap her mind around the fact that Romeo has killed her cousin. Shakespeare’s brilliant use of oxymorons emphasizes Juliet’s confused state. Analysis: Romeo does not take the news of his banishment very well. He reacts with pure emotion and instability as evidenced by his attempted suicide a few minutes later. 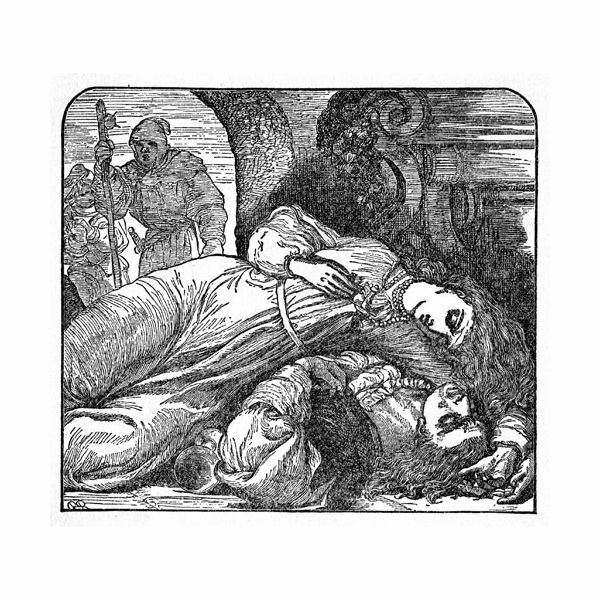 At Juliet’s time of greatest need, when she needs Romeo, her husband, to step up and be a man, he sinks to the floor and cries. Poor Juliet. Analysis: Shakespeare gives us an array of literary devices with Juliet’s utterance. We get alliteration and foreshadowing. Juliet knows this will not end well. Analysis: Capulet’s lament is ironic on so many levels. 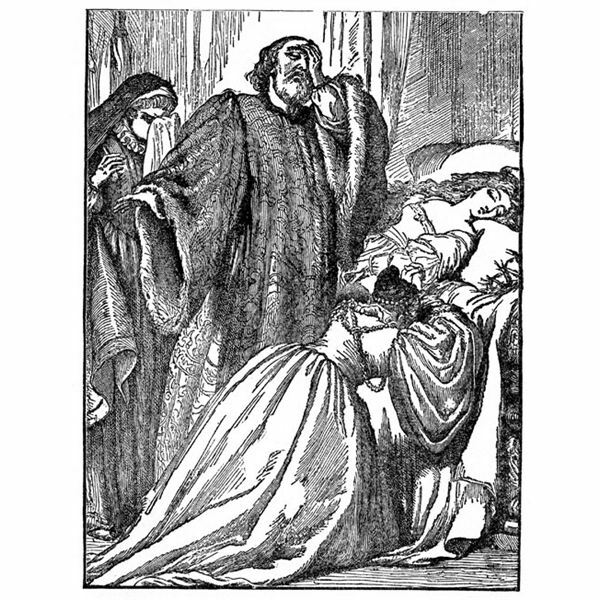 Death is his son-in-law insomuch that Romeo is dead to the city after his banishment. Romeo will be physically dead shortly as well. The audience knows that Juliet lives, making Capulet’s sorrow unnecessary. Analysis: Every time I scream, “Romeo, she’s fair because she’s still alive! Don’t do it!” I expect the end of the story to change. It never does. This is an excellent example of dramatic irony. 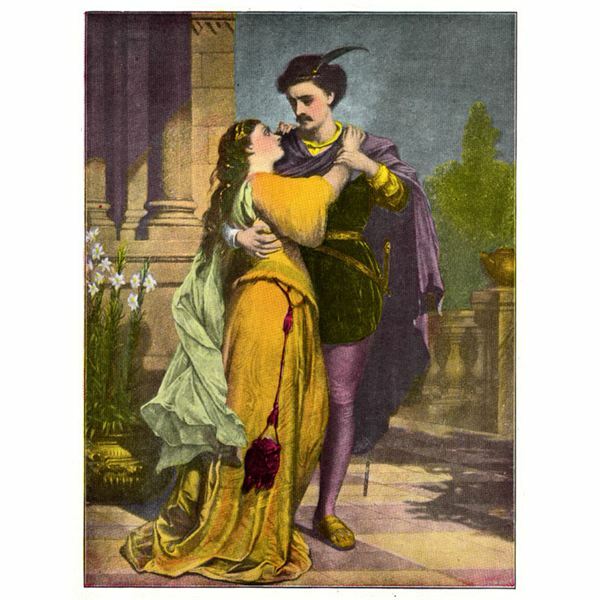 Quote: For never was a story of more woe / Than this of Juliet and her Romeo (V, iii, 309-10). Analysis: It’s hard to argue with the Prince on this one.